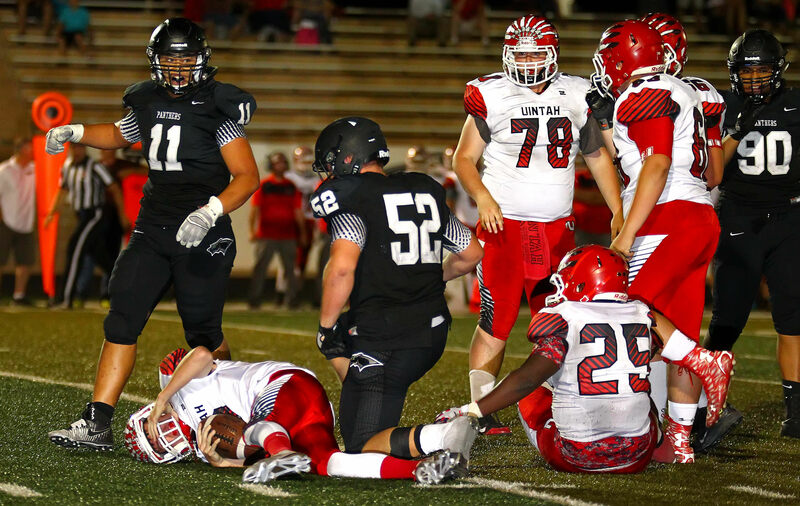 ST. GEORGE — Ryan Javines passed for four touchdowns and the Pine View defense allowed just a lone field goal in a 47-3 blowout of Uintah Friday night at Panther Stadium. Javines, who won the starting job just days before last week’s season-opener at Judge Memorial, passed for 255 yards and hit on TD strikes to Michael Moten from 50 yards out, Kawika Santiago from nine yards out, Daniel Larsen from two yards out and Carson Clark from 33 yards away. 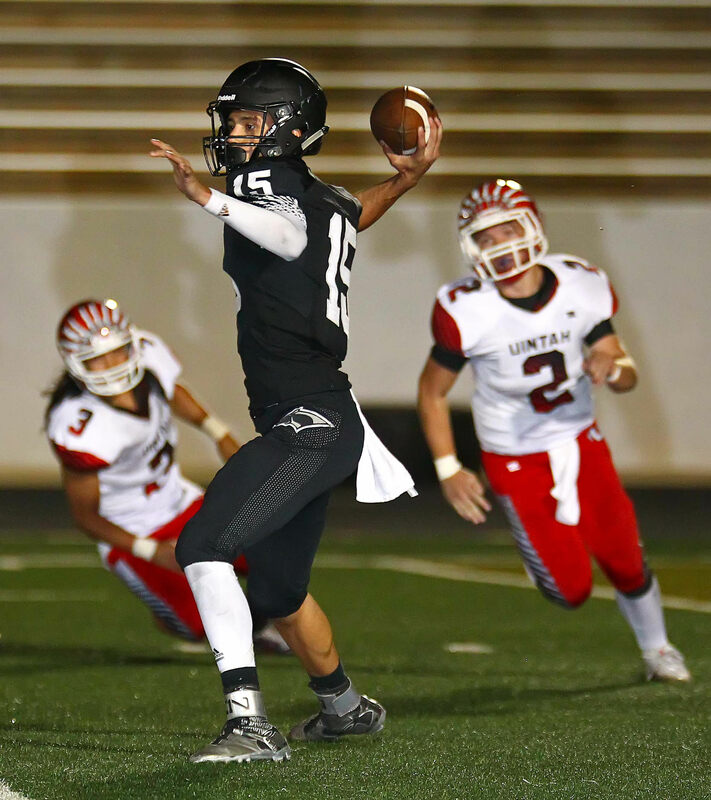 The Panthers offense moved like a hot knife through butter against Uintah, scoring on five of its nine possessions in the first three quarters. Pine View totaled 494 yards and the only thing that slowed the Panthers scoring down was a mercy-rule clock in the fourth quarter. Moten was Javines’s favorite target, with five catches for 85 yards. But the QB spread the love around, hitting eight different receivers. 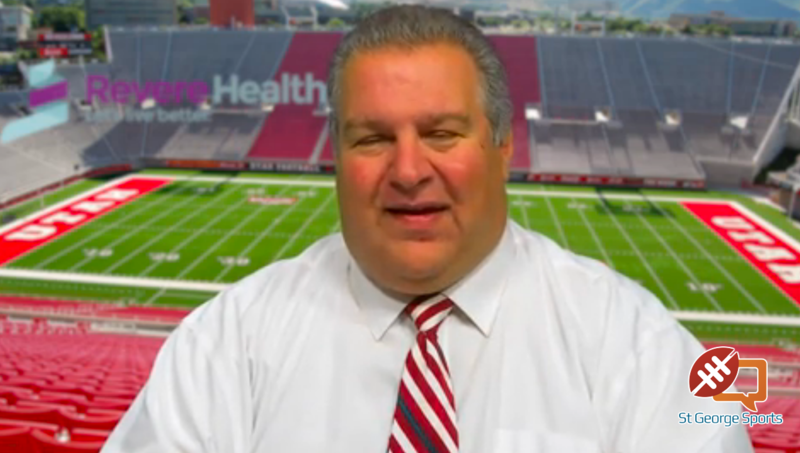 Pine View, 2-0, has outscored its two opponents 81-10 to start the season. The defense allowed Uintah just 177 yards and 12 first downs while forcing four turnovers, including a pick-six by cornerback Dylan Hendrickson, who had two interceptions in the game. Tyler Heaton had a pair of sacks and three tackles for loss for PV, which plays at Manti next Friday.